Bio-remediates the water, allowing it to be recycled or discharged without damaging the environment. 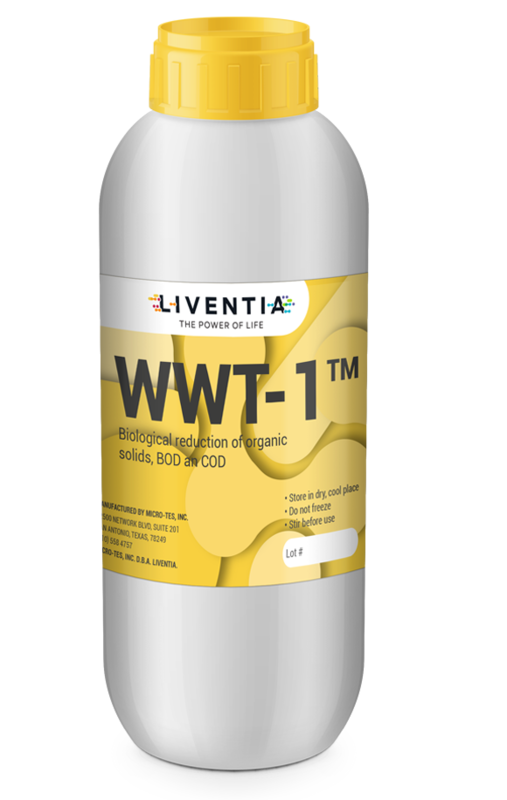 It is an aqueous solution containing 11 species of natural microorganisms, specially designed to degrade organic waste, eliminate fats, eliminate oils, control odors and reduce the chemical and biochemical demand of oxygen, TSS, total nitrate and total phosphate in treatment plants of municipal and industrial waste. Reduce or eliminate unpleasant odors. Increase the efficiency of treatment systems.